We are living in the most revolutionary era in human communication since the invention of the printing press. In the past few years, marketers have ‘woken up’ to consumers who have the power to express their views anytime and anywhere, and Social Media has proven to be the single influencer of changes that need be addressed. ‘Branding’ has become synonymous with marketing Content as means to promote as it is with establishing credibility, seeding loyalty, and engaging conversion. And, with the added effort to add value and produce positive results of Branding, choosing the productive channel has become often as confusing as challenging if maintaining optimal ROI. ‘Social’ is hot, and if nothing else, a response to this awakening. Now, the lines between paid, owned and earned media have been blurred, if not erased. Social media crosses the barrier between the three. It’s fast-paced and chaotic. There’s also a blurring between media and brands. Brands are becoming publishers and content marketers. So for brands as well as media, the goal is to engage an ‘audience’ or group of customers. For the sake of this study we will use ‘audience’ to represent a brand’s customer base. Now is the time for media and brands to meet the audience with social relevance where they are. As you might guess, your audience is many places. So engaging them is not just in social media, but by integrating social content into any digital experience. In this new LUXURY study, The Social Hunger, pulls scattered pieces together to tell a story: why the audience is hungry for social integration. The first edition focuses on brands: why they must take action to integrate social media into their marketing plans and why they must do it now. We’ll start with the explosion of social media. Then we’ll show how if integrated the right way, brands can seize the opportunity to engage their audience, amplify their brand message, build trust and even increase purchase intent. In order to tell this story we surveyed more than 200 consumers about their attitudes, opinions and beliefs about brands and social media integration. The respondents come from all over the country, with all different incomes, lifestyles, and social media habits. Universally, the data supports what we’ve already seen in action: consumers want to engage with brands that integrate social media, and they prefer to do business with social brands. In addition to the survey results we’ve complied real-world examples from brands that are already involving their audience and seeing great results. Here is the data you need to not only understand, but to let guide you as you create predictable results that further continued success. Chances are your audience is already a social audience or soon will be. We found that the majority of people surveyed are already utilizing social media to find and share information about brands. Consumers are now more likely to engage with brands that have ‘gone social’ and share the messages of those social brands. They also tend to prefer to do business with social brands, and many of them have already made purchasing decisions based on social content. 1. Simply integrating social media gives brands a competitive advantage: 59% of respondents are more likely to trust brands that integrate social media. 2. Whether brands harness their social conversations or not, they are happening: 75% of those surveyed are already using social media to talk about brands (91% for 18–34 year olds). 3. Consumers are hungry for social media: 62% are more likely to engage with social brands. 4. The majority of people (60%) are more likely to share the messages of brands that integrate social experiences into their own digital properties (the brands’ web sites, mobile app, etc). 5. Consumers are beginning to consider social media when making purchasing decisions, in fact nearly two-thirds have already made a purchase based on social content. There are more than 500 million Twitter users and more than a billion Facebook users. According to the Pew Research Center, 69% of all online adults are using social networks, and 92% of online adults under 30 use social networks. * Chances are that your audience is a social one or soon will be. Of those surveyed, 75% use social media to find or share information about a brand or product. For 18–34 year olds, it’s 91%. The social conversations are happening, and it’s up to the brands to take action and harness them. Consumers pay more attention to brands that create social media experiences and spend more time on websites when social media is integrated. In our survey, the majority of respondents (58%) reported that they are more likely to interact with brands that integrate social media while only 16% are not. And 62% say they are more likely to stay engaged with brands that integrate social media. In 2012, American Idol created a fan hub to harness the already robust social conversations around the show. The fan hub allowed American Idol fans to view all the social buzz about the show and interact with each other. The time on site for those who interacted with the American Idol fan hub was seven times longer than those who did not. The American Idol Season 11 Finale received 1.4 million social comments, breaking the record at that time. 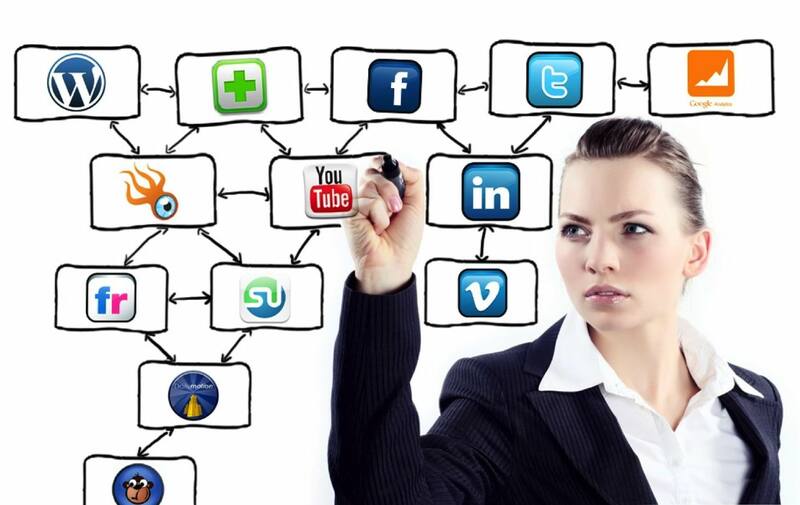 Integrating social media not only increases engagement, it increases amplification and reach. Brands are not the only ones with an audience. Every brand audience member has his or her own network. When the audience shares, the message is amplified. The more people exposed to the message, the greater the reach. The good news is the audience wants to share the message of social brands. Even better, brands can increase their reach by gaining more followers and fans. When asked about brands that integrate social media on their websites, 60% of respondents reported that they were more likely to share experiences with the brand or product (only 16% were not). More than half (56%) said they would be more likely to encourage friends and family to try new products from the brand (16% would not). After viewing examples of social media integrations, the majority of respondents (51%) said they would be more likely to tell a friend or family member about the brand’s products (17% would not). TaylorMade wanted to activate its audience around the US Open in order to spread its message and gain more fans. By creating a fan hub where visitors could get access to exclusive content and interact with each other, TaylorMade became a key destination during the US Open. As a result, the brand added 19,000 new fans. TaylorMade added the most fans during the US Open and was the top ranked brand for engagement on Facebook. There was so much social activity around the brand that it trended on Twitter. In addition to reaching more people, brands that integrate social media increase the level of trust and positive perception by the audience. More than half of the respondents (59%) reported that they are more likely to trust brands that integrate social media (only 13% are not). After being exposed to social media experiences, 56% of respondents reported they would be more likely to trust a brand that integrates the same types of experiences, while only 11% are not. And 62% said they would think more positively about the brand, while only 10% do not. More and more people prefer to take their business to brands that effectively integrate social media. A growing segment of respondents (46%) prefer to do business with companies that use social media (compared with only 21% that do not). This statistic rises dramatically to 67% among the 18–34 set (only 7% do not prefer to do business with brands that use social media). Consumers want brands to integrate social media. The bottom line? People want to buy from social brands. Consumers are basing purchasing decisions on social content. Nearly two-thirds of those who use social media to find information or share feedback about brands have purchased a product based on social media content. For 18–34 year olds, the number grows to 75%. When asked about brands that integrate social media experiences on their websites, 63% of respondents report they are more likely to buy products and try new things because of the social comments of others while only 12% said they would not. 60% say they are likely to try new things based on the brand’s social suggestion, while only 15% would not. After viewing social media integrations, 63% of respondents agreed that having these types of social experiences makes them more likely to be interested in a brand’s products (compared to 12 percent who disagree). More than half (54%) reported they would be more likely to purchase a product from the brand (only 15% would not). And 79% report that they want to be able to get coupons and promotions from brands socially. Brands that integrate social media are putting themselves a step ahead in the sales cycle. HAVE YOU EVER PURCHASED A PRODUCT BASED ON SOCIAL MEDIA CONTENT? 1. Of all respondents surveyed, 64%said yes, 31% said no, and only 5% were unsure. 2. Of 18-34 year old respondents, 76% said yes, 20% said no, and 4% were unsure. It is clear to see where the priority target market is, and how they roll when making buying decisions. 1. Pays more attention to brands that integrate social media. 2. Is more likely to share social experiences. 3. Prefers to do business with social brands. 4. Uses social information to make purchasing decisions. Brands can successfully create unique social experiences to drive engagement like American Idol. They can amplify their message like TaylorMade. These experiences are all social, and yet happen outside of ‘social’—in other words, they don’t just take place on social network web sites. The ‘purchase funnel’ is no longer relevant (beware of so-called Social Media Gurus that parrot terminology as if they are keys to opening your wallet). Customers are experiencing your brand everywhere. That audience is drawn into an experience, a brand, or a product when a social experience is present. The next era of marketing centers on facilitating brand-relevant social experiences to any digital touchpoint. Your audience prefers and trusts social brands and is starting to use social information to make purchasing decisions. With the fragmentation of experiences, the explosion of digital experiences, and the desire for participation, the time to integrate social media into all facets of brand marketing is now. For insight and practical guidelines on creating and marketing superior Video Content, be sure to review our VIDEO CONTENT MARKETING GUIDE published earlier this year and available on most of our online presences. Methodology: Luxury developed and administered an interactive quantitative online survey with a sample size of 228. Responses were collected from September 25, 2012 through October 1, 2012. The sample consisted of consumers ages 18–64, 50% male and 50% female. The median income was $49,999. The survey asked respondents about their attitudes, beliefs and behaviors when dealing with brands that integrate social media.